Living Space: 2525 sq. ft. The present owners have been doing short and long term rentals and the rates vary depending on the time of year and length of stay. There is also a large portion of the property that has not been built on yet where someone could build 3 or 4 more units and maximize their profits. Their ococcupancyates are very high and it is a succesful business. 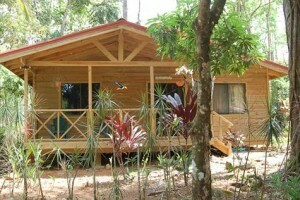 If you are looking to step right into a turn key business in the heart of Uvita than this is the best option available.